Best Rifle Scope Under 300 Dollars In 2019 - Recommend From Experts! 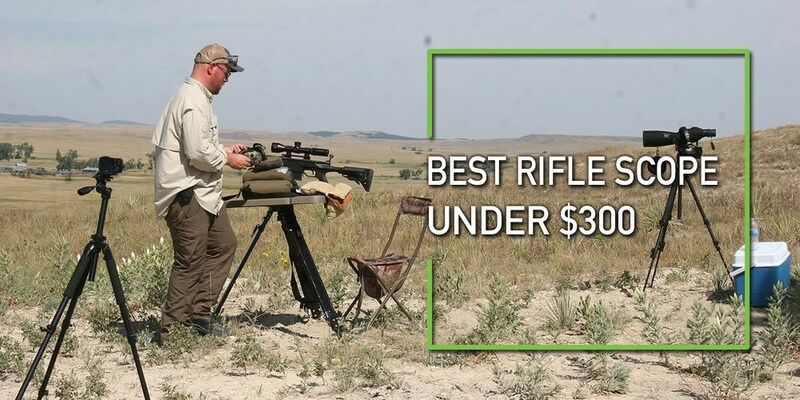 Best Rifle Scope Under 300 Dollars In 2019 – Recommend From Experts! You don't need to break your bank to get a quality rifle scope. You can find the best rifle scope under 300 that provides you with a good performance. Rifle scopes at this price range come with better specifications and reasonable quality. The scopes are perfect for casual hunters and target shooters who want durable optics and precise targets between short to medium distances. How will you know which is the best low budget rifle scope under 300? There are so many rifle scopes such that it can be challenging to fish out the best on the market. To help you choose the right scope, I have reviewed the best models from highly reputable manufacturers. These low budget rifle scopes will provide you with great services for a longer time. Compare the models reviewed below to find out which one suits your needs. Magnification: How much magnification do you need? Rifle scopes are available in a wide range of magnification. You can either choose a rifle scope with a fixed or variable magnification. A fixed magnification means that it is fixed just as the name suggests. On the other hand, a variable magnification allows you to adjust the magnification. If you are a beginner, you can look for a scope with a magnification of 3-9x. Objective Lens: The size of the objective lens is important to consider because it determines the amount of light that gets in. the size is measured in millimeters and the larger the size of the objective lens, the more the light will get it. Parallax: When you are viewing with your scope, the reticle of the scope should remain in the same position regardless of the angle you are looking through. You will be able to see parallax when you move your eye and this can end up throwing your shot especially during long-range shots. Coating: What type of coating does the scope have? The coating is important because it provides you with waterproofing and fog-proofing capabilities. There are different types of coating that you will find which include coated lens, fully coated lens, multi-coated lens, and fully multicoated lens. Reticle: This is an important factor to consider especially if you are into long range shooting. You can choose a reticle with single dots that are spread horizontally and vertically or one with hash marks. Both types of reticles work well for windage and elevation. Using the hash marks or dots is easy but you need more experience. Most scopes feature a duplex reticle but you can also find others with mil-dot and BDC reticles. Field Of View: This refers to the distance that you are able to see from right to left. For instance, if a scope provides you with 100-meter field of view, this means that you will be in a position to see 100 meters from right to left. When it comes to budget-friendly rifle scopes under 300, there are so many models out there such that choosing the right one can cause more confusion. 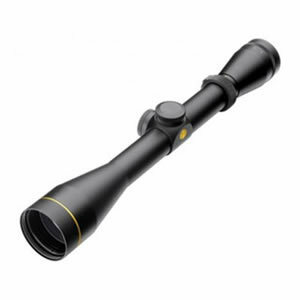 If you want a quality rifle scope that helps you view your targets and make accurate shots, I would recommend Leupold 110797 VX-2 3-9x40mm rifle scope. This is a quality scope that is specifically made for medium range targeting. The scope is designed with index matched lenses that provide maximum light transmission. The lenses have a protective coating to allow higher transmission of light as well as abrasion resistance. When it comes to the durability, this rifle scope has a strong one-piece housing made of 6061-T6 aluminum. It also has a rugged design and waterproof and fog proof design. All these features make it one of the durable and most lightweight rifle scope. With a magnification of 3x-9x, you can be sure to see your target images clearly without blur. This scope brags of a 3: 1 zoom ratio erector that makes it useful in almost any situation. For windage and elevation adjustments, the scope is equipped with a ¼ MOA precision finger click. If you are looking for a low priced rifle scope without compromising on the features, Mueller AO Eraticator Rifle Scope can be a great pick. This is a quality scope that has similar features to other expensive scopes. It is designed with multi-coated lenses that provide crystal clear images. The scope provides you with an outstanding brightness and you can also adjust the brightness to your preference. You will also enjoy a wide range of magnification when you are using this scope. This is a great scope for larger game shooting as well a long distance shooting. It has a variable magnification of 8.5x-25x. This is a powerful magnification that suits your hunting. Another great thing about this scope is its large objective lens of 50mm. this means that more light will get in which brings about clear and bright images. It also provides you with a longer eye relief of up to 3. This wonderful rifle scope is equipped with a micro-fine crosshair with an illuminated microdot. This reticle is ideal for long-range shooting or small targets like dogs. It has a nice design that eliminates any chances of the hairs covering your target even at longer rages. Accuracy is very crucial when you are shooting or hunting. Apart from having the best rifle, you should also get a quality rifle scope to improve your view. Primary Arms Orion ACSS Reticle 4-14X44mm Riflescope can be a great addition in your hunting gear. 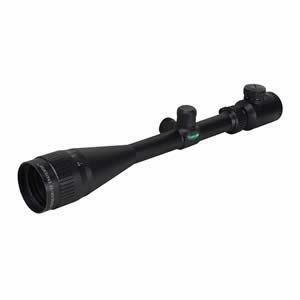 This is a quality scope with a powerful magnification of 4x-14x. It helps you zoom your target objects without compromising the image quality. It is designed with a patented ACSS Orion reticle that remains true throughout the magnification of the scope. 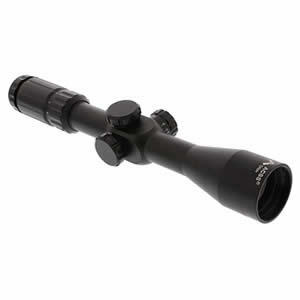 This scope features a rugged and durable aluminum construction that makes it durable. It is waterproof, shockproof and nitrogen purged. 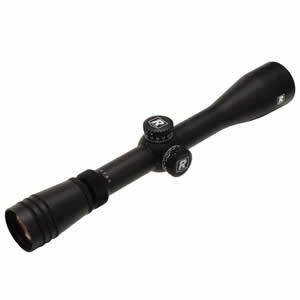 You can expect this scope to handle outdoor conditions as well as provide you with a great performance for many years. It is also designed with a side mounted parallax adjustment knob that ensures the reticle parallax is free and the target image remains sharp even at an extended range. For the best light gathering capability, this scope comes with a 44 mm objective lens diameter. Want to boost your shooting performance? Then you should try the Redfield 3-9x40mm Revolution/TAC Riflescope. This is a quality rifle scope that is equipped with essential features that you would like to have in a scope. It provides you with a zoom ratio of 3: 1 making it ideal for different hunting scenarios. It is equipped with a multi-coated lens system that improves the transmission of both light and color. This ensures that you achieve crystal clear images. Additionally, the 45.72 mm objective lens allows more light to pass through. This waterproof and fog proof rifle scope has a minimum power of 3x and a maximum power of 9x. You can choose the right magnification that suits your shooting needs. It also provides you with a generous eye relief that allows you to achieve a comfortable and prolonged viewing. Users also love the 4-plex reticle with thicker outer posts that work well on helping you acquire your target faster without the possibility of losing thinner crosshairs. This is a nice reticle for people who want precision and unobscured view at any distance. 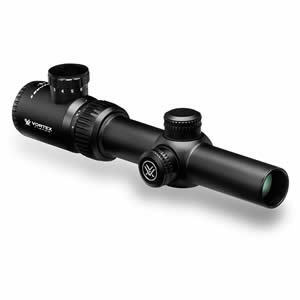 The Vortex Optics is a great rifle scope that is designed for hunters and shooters who want to achieve a high level of reliability and performance. There are a lot of things that you will love about this rifle scope. First, the scope is designed with multicoated lenses that offer clear and brighter images when you are viewing your target. This scope with a powerful magnification of 1x-4x is designed with a longer eye relief which makes it easy to see pictures and acquire your targets. Additionally, its fast focus eyepiece provides easy and fast reticle focusing. This scope is great for hunters and shooters who work in extra-low light conditions. It has a V-bright reticle that utilizes V-Plex format and battery-powered electronics to give the red dot the right illumination when you are shooting in low light conditions. Another incredible aspect that you will love about this rifle scope is its strong construction to enhance the durability. It has a single piece tube made of aircraft grade aluminum to ensure that it is strong as well as shockproof. On top of that, it is o-sealed and nitrogen purged. The above are the best affordable rifle scopes under 300. These are amazing scopes that provide you with value for your money. Not only are these rifle scopes accurate but they are also reliable and rugged. They provide an incredible performance and strength and most importantly come at a pocket-friendly price.